Are Live Conversations Making a Comeback? By Caroline Moriarity Sacks Director of INFORUM In the technology capital of the world, San Franciscans know better than most about the latest messaging or communication apps. In a city turning conversations more virtual by the minute, a phenomenon is also developing: its citizens are wanting more interactions offline, with real people. 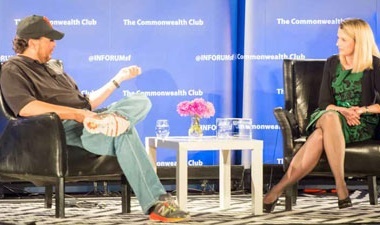 At INFORUM, The Commonwealth Club’s Innovation Lab, we’re constantly seeing the benefits that come from live interact..